IH 35 Reconstruction — Binkley & Barfield, Inc.
BBI was selected by TxDOT to perform design of the reconstruction of 8 miles of main lanes and frontage roads as well as 1.5 miles of median widening for the IH 35 project in Waco, Texas. The project included 37 bridges, a direct connector, 2 crossings over Lake Brazos, 4 bridge culverts and over 100 retaining walls. Traffic signals were upgraded at 11 intersections, and communications, water, wastewater and storm sewer utilities were relocated and upgraded as part of the work effort. The design was completed and construction documents delivered in 9 months, well ahead of the anticipated schedule of almost 18 months. 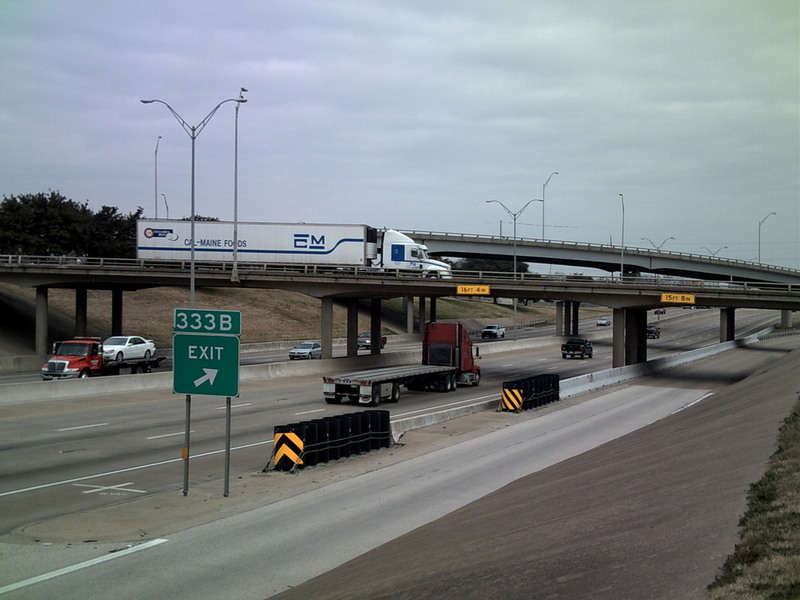 This was accomplished by utilizing production methodologies created by the firm that allowed the delivery of the largest design contract ever awarded by TxDOT. BBI managed 7 subconsultants as part of the work effort. The firm developed complex traffic control plans to accommodate 133,000 vehicles per day which included heavy truck traffic, prepared 11 traffic signal warrant studies, designed 11 signalized diamond interchanges, prepared plans for signage, pavement markings, ADA compliant pedestrian facilities, designed underpass and high mast illumination, over 100 retaining walls, and designed and coordinated relocations of 11 utility company facilities. Because of funding shortfalls, between 2010 and 2014, only 2 portions of the overall project were built, totaling approximately 2 miles of the 9.5 mile project. In 2013, one of the segments, the Forrest Street bridge, was updated and resubmitted to TxDOT by BBI, and released for bid and is now under construction. In 2014, Binkley & Barfield was once again contacted by TxDOT to re-evaluate the remaining 7.5 miles of unbuilt project, and to update the design to 2015 standards. Currently, the firm is performing roadway, bridge and retaining wall re-design, while two subconsultants are updating their plans to comply with the new drainage standards. We have been subsequently tasked with splitting this project into multiple projects, as well as updating the design for revised TxDOT criteria. Quality management for the project includes tracking schedules and progress, review consultants’ designs at milestone submittals, perform quality adherence surveillances, and generally assuring that a quality design and set of documents are delivered to TxDOT for bid and construction.